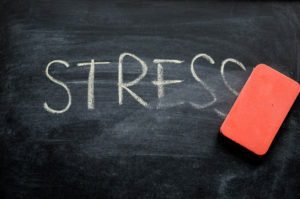 Have you ever felt stressed at work? Do you sometimes feel under pressure and irritable? Do you feel like the world around you is getting faster and you can’t unwind? Do you ever get angry with those around you, or have you become quiet and withdrawn? We often don’t realise that we are suffering from stress because it is constantly with us. It is part of our ‘normal’ life and unfortunately a stigma is still associated with being “diagnosed with a Mental Health Condition. Workplace stress is becoming more and more prevalent as our lives become busier and the demands on our time and effort increase. According to Work Safe Australia workplace stress costs Australian businesses more than $10 billion per year. Stress can have serious effects on our health and well-being and often leads to extended absences and loss of productivity. It is something that can often go unnoticed or unreported until it reaches a tipping point and can adversely affect everybody connected to the person including family, friends and colleagues. Early identification and the introduction of strategies can prevent needless suffering and allow people to identify issues before they become insurmountable. The trainers at The Strong Life Project are experts in the field of Resilience Building because they have lived through the worst and come out the other side. 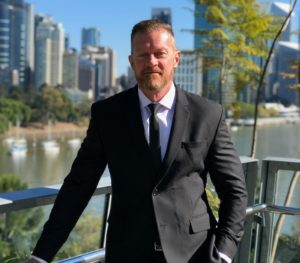 Shaun O’Gorman tells his incredible story to remove the stigma surrounding stress and mental health while teaching participants to develop their own resilience and drive. This unique workshop does not simply present theoretical ideas with no application to the field. It relies on real-world events and tactics that will have a powerful impact on the participants. Workshops are uniquely tailored to the client’s requirements and location. The Critical Stress Training Workshop here. Please use the form below to contact us regarding your inquiry, and we can send you further information regarding our services. If you would like a specific quote, please provide as much detail as possible including which service/s you’re interested in, number of attendees, dates, and location. We look forward to talking with you soon.